Know The Correct Process To Connect Your Custom Domain Name To WordPress Site With Godaddy. 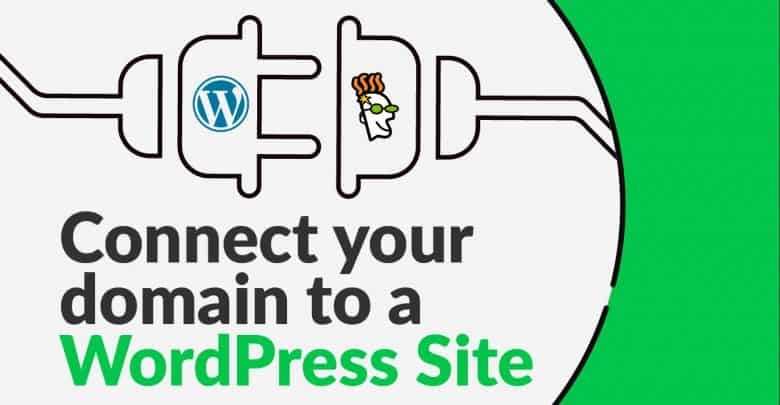 If you have a WordPress site and you have registered the perfect domain name in Godaddy then know how to connect the domain name to your WordPress website. And many more. These are some top brands on hosting and domain purchasing. If you have your domain in Godaddy and want to set the domain name on your WordPress site, then this article is for you. This article will also help you to forward, your custom domain to the WordPress site. If you used WordPress to create a free website, your web address includes the name you chose that’s appended with subdomain WordPress. com. But if you’ve registered a custom domain name with GoDaddy, you can use it for your WordPress website? When you set up forwarding on your domain, visitors who search for your domain or enter it in a web browser; will see your WordPress site. Go In your web browser navigates to your WordPress website. Next, click in the address bar of your web browser, highlight the URL for your WordPress site and copy it to your clipboard. Now log into your GoDaddy account. On the Products page, find Domains, and to the right of it, click Manage. On the Domains page, choose the domain name that you want to forward to your WordPress website, and click Use My Domain. In the domain connector, click Connect to an Existing Site. On the Destinations screen, under Websites, click WordPress. Click in the WordPress blog URL field, and paste in the text you copied to your clipboard. When you’re finished, click Next. This dialog box is just asking you to confirm that you want your GoDaddy domain name to forward to your WordPress website. Finally to confirm, click Finish. That’s it! Now when anyone types your unique domain name into a browser, they’ll see your WordPress website. WordPress CMS is used for various purposes. Especially for increasing Adsense revenue, it helps a lot. If you want to know the WordPress impacts on the Google Adsense income you can read- 7 interesting Facts on why WordPress is better for Google AdSense. Thanks for reading. Hope you have got the idea of how you can connect the domain name of your WordPress website in GoDaddy. If you have any suggestion or quires, you can comment below.